Put on your PINK and celebrate, run or walk with us at the 22nd annual Susan G. Komen Puget Sound Race for the Cure® on June 7, 2015 at Seattle Center. Take a break from holiday festivities! Bring your family and friends to Wright Park to enjoy a refreshing afternoon 3-mile run or walk. Join us for the 20th anniversary of the Norpoint Turkey Trot. This will be a special event with memories of past Trots in picture, in writing, and on stage. Be ready to run and reminisce with all the other festive trotters! Grab your family and friends to run/walk a glowing Point Defiance Five Mile Drive in the dark. Wear your flashiest costume and bling while you enjoy glow sticks, zoo lights characters, strobe lights, and more along the lighted roadway. 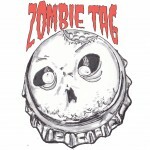 Run/walk through Wright Park and choose between being a zombie or being chased by a zombie. Come dressed to chase or come to run/walk – all levels are welcome. Be ready to have some fun in this specialty themed event. Run/walk distance approx. 2 miles. Run/walk this scenic 5k at Point Defiance Park and enjoy live music in the beer garden. This popular summertime event sells out early. Ages 21 and older.